The CryoPen™ treatment involves the removal of cosmetically unsightly, permanent skin lesions with a state-of-the-art device. The CryoPen™ device is a state-of-the-art development in the management of permanent skin lesions. The presence of unsightly blemishes on the skin can be cosmetically unsightly and may even cause discomfort. 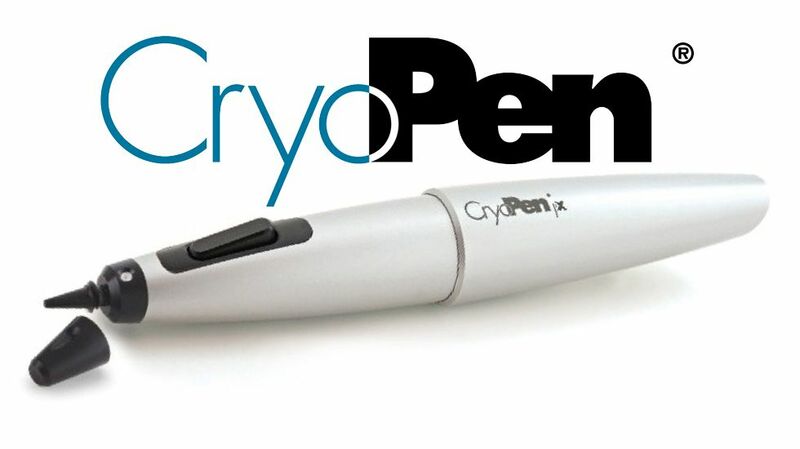 Also known as Precision Cryotherapy, the CryoPen™ is an exciting remedy for the removal of epidermal tags. Treatments involve freezing skin lesions in two short bursts, with each one ranging from 1-30 seconds. CryoPen™ treatments do not affect healthy tissue, making them a great option for eliminating skin tags, cherry angiomas, warts, milia and verrucae with little to no risk. The CryoPen™ can also be used to treat sun-induced age spots, making the CryoPen™ a useful tool for improving the appearance of ageing hands. Luckily, the CryoPen™ treatment is now available in London at bea Skin Clinic. How does the CryoPen™ treatment work? With incredible accuracy, the CryoPen™ emits a targeted spray of nitrous oxide (N2O), which destroys damaged skin cells only. Treatments take minutes to perform and there's no downtime, meaning that you can be in and out of the clinic within half an hour. The CryoPen™ is suitable for all areas of the body, save for areas of natural beard growth. Those with dark or heavily tanned skin are not suitable candidates for CryoPen™ treatment of small skin lesions due to risks of hyperpigmentation, although other treatments are available for this group. The pain associated with this treatment is minimal. There is a very short sting when the nitrous oxide solution reaches the surface of the lesion, and there may be a very slight burning sensation which persists for a couple of minutes after treatment. Before now, skin tag cryotherapy treatment involved the manual application of cryogenic liquid nitrogen. More often than not, this led to prolonged treatment times as well as some collateral damage to the healthy epidermis. Now, cryotherapy skin tag removal has been revolutionised with the CryoPen™, making skin tag cryotherapy treatments safer and more effective than ever before. For those with keloid scars, the CryoPen™ device affords a new, gradual method of keloid removal. Commonly, surgical excision and steroid (cortisone) injections are used to improve the appearance of keloid scars. However, both of these methods come with significant risks. The CryoPen™ treatment is non-invasive, and can be utilised in the removal of small keloid scars that develop after injury, surgery or piercings.